I recently had the opportunity to speak with Per Schou-Neilsen from Johnson Controls Denmark. Johnson Controls is a global diversified technology company with 130,000 employees in more than 150 countries. Per, who is Manager for Learning and Development, Industrial Refrigeration, Europe & Africa, will present a case study at the Questionmark 2010 European Users Conference to be held in Amsterdam October 3 – 5. During his presentation he will share his recent experiences with Questionmark Perception and its use in a development and certification program for new or newly hired service technicians. 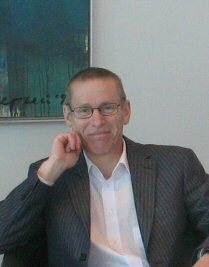 We are very much looking forward to hearing Per’s case study presentation in Amsterdam. You can listen to this podcast for a hint of what Per will be discussing and why he is looking forward to the conference. Spaces for the 2010 European Users Conference are limited – Register now so you don’t miss out!